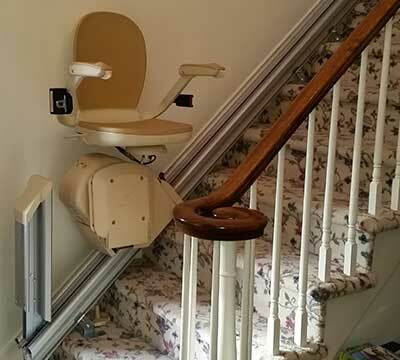 If you or a loved one are challenged by the task of negotiating stairs, a Stairlift might be the perfect solution. Many of our Stairlifts can be purchased or rented and installation can be achieved rapidly. 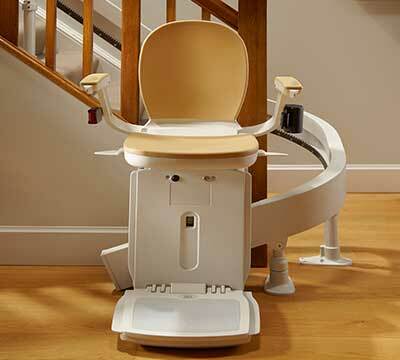 In fact, we have hundreds of stairlifts in stock for quick delivery! Battery powered and sleek in design, stairlifts can be your low profile answer to maximizing the use of all levels of your home. Indoor stairlifts are plugged into a typical electrical receptacle for continuous battery charging, therefore always being ready in the event of a power outage. The track is affixed to the stair tread. The foot plate, arm rests and seat all conveniently fold out of the way for others utilizing the stairs without the aid of the lift. 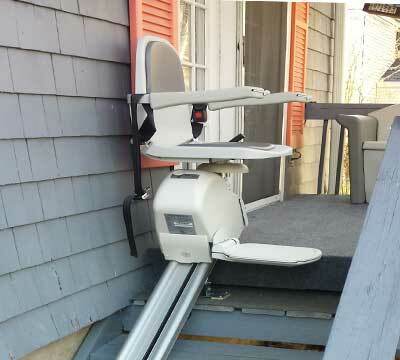 The seat swivels at the top of the stairs promoting safe transfers on and off the lift. Back Home Safely featured brands include Acorn, Bruno and Harmar.